SAN FRANCISCO, CA — October 2017 — Prompted by President Donald Trump’s proposed border wall, the Golden Gate Symphony Orchestra & Chorus (GGSOC), led by Maestro Urs Leonhardt Steiner, Music Director, opens its 2017-2018 season with ¡Viva Mexico! Beyond Border Walls, a special program of live classical music that celebrates the rich musical traditions and cultures of Mexico and beyond. Featuring special guest conductor Martha Rodriguez-Salazar and a noteworthy variety of special guests from Mexico and the Bay Area, ¡Viva Mexico! Beyond Border Walls will take place at the Herbst Theatre, 410 Van Ness Ave. in San Francisco. To purchase tickets, please visit: www.cityboxoffice.com/ggsoc or call 415-392-4400. Featured soloists will include local vocal talent: Alicia Naylor Guerrero, High Mezzo-Soprano, a freshman at the Ruth Asawa San Francisco School of the Arts; Zahra Rostchild, Mezzo-Soprano, a senior at Lowell High School in San Francisco; Joel Ponce, Tenor, a 23-year-old who earned a degree in Music Theory from Whitman College in Walla Walla, Washington, where he wrote about mestizaje and the music of Gabriela Lena Frank for his senior thesis; and Gaspard Mbole, Baritone, a member and Assistant Choral Director of GGSOC. With a mission to reach out to the diverse ethnic communities of the Bay Area and beyond, Maestro Steiner and the GGSOC have been at the forefront of connecting the Latino, Asian, Filipino, and African-American communities in the Bay Area with classical music since 1989. GGSOC is also known for showcasing the talents of artists from their respective countries. CORO REDES Y CANTOS DE CHAPALA, MOISES REAL GÓMEZ, DIRECTOR GENERAL: Formed in 1980 in the State of Jalisco, Mexico, Coro Redes y Cantos de Chapala has been connected to the Secretary of Culture of the Government of the State of Jalisco since 1986. The group comprises singers who live in the various riverside towns of Lake Chapala who are committed to the conservation of Mexico’s ancient songs. Their style is characterized by a polyphonic melody with first and second voices. In “Networks and Songs of Chapala,” Coro (Redes y Cantos de Chapala) expands the second voice into third and fourth voices, which creates a peculiar harmony to the first voice. This is faithful to a Jalisco style that has been cultivated since the 18th century. 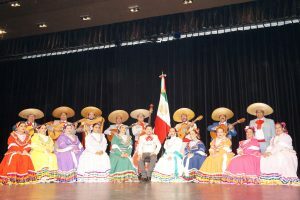 Songs performed come from throughout Mexico, including Aguascalientes, Colima, Michoacán, Oaxaca, Veracruz, and Nuevo Leon, among others. Like a typical choir Jalisciense, the female sopranos and mezzo sopranos make showy choreographic movements and dance while they sing. The male tenors and baritones, on the other hand, play instruments such as bass, vihuela, guitars, requinto, and mandolins. All are dressed in costumes that reflect clothing worn by servants, laborers, captains, and ladies of the house. Born to a musical family in Guadalajara, Mexico, Moisés Real Gómez, Director General of Coro Redes y Cantos de Chapala, began studying classic guitar at the age of 13, and later studied piano under the tutelage of Maestro José Hernández Montoya. His passion for Mexican folkloric music led him to found Ensamble Latino, a Latin American musical ensemble. He studied viola at the University of Guadalajara School of Music with Maestro Manuel Olivares; sang scales with Maestro Alejandro Zermeño; learned harmony with Maestro Demian Galindo; and orchestral direction with Maestro Alberto de Loza II. Currently, Real Gómez is distinguished by three different titles: Director of Coro Redes y Cantos de Chapala, Founder and CEO of MUSA Musical Academy, and Musical Director of Cámara Mozaretta Orchestra. As a composer, Real Gómez is writing “Obra Edén” for the Sincrónico International Festival of Contemporary Art, as well as “Concert for Guitar and Orchestra para Cámara Valses y Misas”. For more information, please visit their website (in Spanish) http://sc.jalisco.gob.mx/servicios/organismos-y-grupos-artisticos/coro-redes-y-cantos-de-chapala. GOLDEN GATE SYMPHONY ORCHESTRA & CHORUS, MAESTRO URS LEONHARDT STEINER, MUSIC DIRECTOR: Founded by conductor and educator, Maestro Urs Leonhardt Steiner, the Golden Gate Symphony Orchestra & Chorus has provided more than 20 years of quality musical performances and dynamic music education programs to communities in San Francisco and abroad. These programs have earned the organization a national and international reputation with programs in California, Central America, and Europe. Maestro Steiner created the organization to provide access to classical music at the community level by encouraging amateur and professional singers, musicians and composers to collaborate closely and build community through performing live classical music. The Golden Gate Symphony achieves this through programming innovative orchestral and choral works, and performing a wide range of repertoire from the classics to contemporary compositions. Internationally renowned as a conductor, educator, composer and classical guitarist, Maestro Steiner founded the San Francisco Sinfonietta as a 501(c)(3) not for profit organization in 1994. Originally from Chur, Switzerland, he graduated from the San Francisco Conservatory of Music, Master of Music in 1986. He studied conducting with James Wimer, Gustav Meier, Herbert von Karajan as well as Master classes with Andre Previn, Erich Leinsdorf, and Leonhard Bernstein. When not on the podium in front of the GGSOC, Maestro Steiner serves as Co-Director of “Musica en Los Barrios” in Managua, Nicaragua, as well as Artistic Director of the Music Theater Chur, Switzerland. Under his direction he has created innovative music education partnerships with the “Pan y Arte” Foundation in Muenster, Germany for funding community programs for underprivileged youth and communities in Central America. For more information, please visit: http://www.goldengatesymphony.org/. MARTHA RODRIGUEZ-SALAZAR, SPECIAL GUEST CONDUCTOR: Martha Rodríguez-Salazar has a multi-faceted musical career that includes her work as a conductor, flutist, mezzo-soprano, teacher, and producer. Recognized as a “Luminary” in 2011 by the Mexican Consulate in San Francisco, as “Excelencia Latina” by LAM and Mundo Fox in 2013, and most recently presented with the 2017 “Corazón del Barrio” award by the Mission Cultural Center for Latino Arts for excellence in music, Rodríguez-Salazar has been bringing Latin American folk, classical and contemporary music to the Bay Area for more than 15 years. 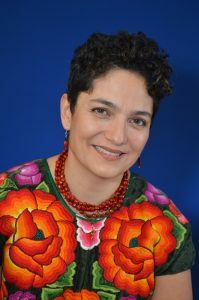 Rodríguez-Salazar is a music instructor at the Community Music Center, where she directed and produced the annual Mexican Christmas musical La Posarela for 13 years. She has also been the coordinator of the Mission District Young Musicians Program since 2006, which provides free music lessons and classes in Latin music to underserved youth. She currently works with the San Francisco Symphony as the curator for its annual Día de los Muertos community celebration. Rodríguez-Salazar’s conducting work currently includes the Coro de Cámara, specializing in classical and folk music of Latin America, as well as four community choirs for older adults. Two of these choirs have spawned a national research project investigating the health benefits of choral singing for seniors.